Are you an executive decision maker in a company considering international expansion? Does your company already sell internationally, but lack a focused strategic international sales and revenue growth plan? Expanding sales of your company's products and / or services internationally is now easier than it has ever been. At Allume International we work closely with our clients to determine the most efficient and effective ways to grow sales in ever expanding and complex global markets. We take a long-term, strategic approach to your sales; including the financial and legal procedures you need to follow to be in compliance and in the black. We start by preparing a comprehensive, objective, strategic assessment of exactly where your sales and distribution systems currently are, where they have the best opportunities to grow and how best to get them where you want them to be. Our independent research allows your key decision makers the ability to make the correct decisions necessary for your company to grow successfully. 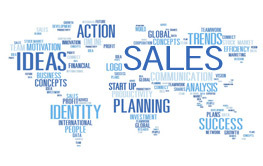 Listening, research, planning and a collaborative implementation process will result in a successful, dynamic international sales growth plan and process. We value our long term client relationships. 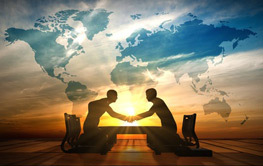 Our goal at Allume International is to become your trusted partner in your international sales and expansion strategy. Are you an executive decision maker in a company considering international expansion? Does your company already sell internationally, but lack a focused strategic international sales and revenue growth plan? Expanding sales of your company's products and / or services internationally is now easier than it has ever been. Any company with a website and a shipping department can begin claiming international sales; however, maximizing those sales in a way that generates substantial profitable revenue growth has, perhaps, never been so difficult. Are your sales teams equipped to properly sell and service customers in other countries, from other cultures? Is your accounting transaction software able to handle foreign currency? Are your accounting practices in regulation and compliant with foreign transaction laws? Do your sales and marketing teams understand the culture and best sales practices in the country(ies) you wish to expand? Does your executive team understand joint venture, branch, subsidiary and / or independent representative employment laws in the countries you are selling in? We've all seen the headlines in any number of business journals identifying major, multi-billion dollar corporations losing hundreds of millions of dollars on international expansion plans gone awry. If a multi-billion dollar corporation with nearly unlimited resources can make significant international expansion mistakes, how can any company even consider such a strategy without a comprehensive, objective, thorough analysis and strategic implementation plan from trusted, experienced, passionate international business expansion experts? Allume International is a consulting, implementation, leadership company dedicated to your company's sales and revenue growth. 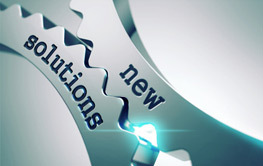 We specialize in assessing exactly where your best global growth opportunities lie, helping you implement the most successful strategic and operational growth initiatives and, should you desire, leading your company's international sales team to deliver on those initiatives. We begin by listening to your story so we can learn who you are and what you do. We then produce a thorough, objective analytical research report identifying exactly what your company should do and where. We follow that by working with all your stakeholders to develop a comprehensive strategic growth plan that will get you exactly where you need to be. Allume International is your long term growth partner in a world crowded with short term fixes. Give us a call to find out more about how we work and how we're different. 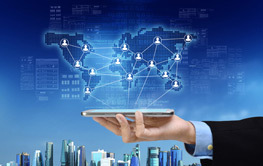 Understanding your company's unique product offerings, how they fit into the global competitive landscape, where they are in the most demand and how to best get them in the hands of buyers are the first steps to realize significant international sales and revenue growth. Our Sales & Market Research Analysis Report begins this process by providing your company's executive decision makers with an honest, objective and thoroughly researched blueprint outlining exactly which countries your company should be selling in and why. Let Allume International put our experience, wisdom and passion to work on your behalf. We then accompany the Sales & Market Research Analysis Report with easy to understand financial modeling, financial compliance and cost effective financial transaction tools. At the same time, our independent legal experts can work with you to overcome the complexities of everything from International Trademark and Patent Protection, the Foreign Corrupt Practices Act to developing Sales and Distribution Agreements in foreign countries and foreign languages. Once you've been presented with the facts, we work with you to develop a strategically and operationally sound, effective and efficient plan for reaching your sales and revenue growth objectives. At Allume International we have the wisdom, experience, passion and expertise to help you develop a winning international sales strategy and execute on that strategy over the long term. Our motto, "Growth Beyond Borders" sums up our ongoing commitment to each of our clients sales growth success. Give us a call and learn how we work, how we're different and how we can make a long term positive difference in your company's sales growth results.